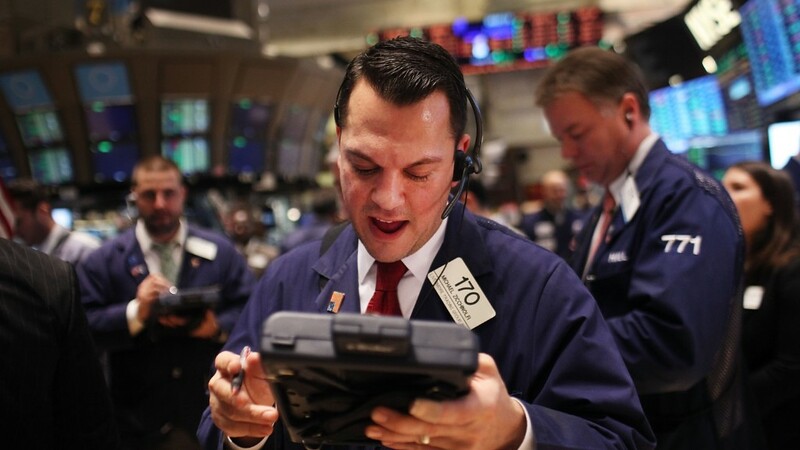 What will make stocks go even higher? Stocks hit fresh records last week and the S&P 500 is up nearly 9% this year. 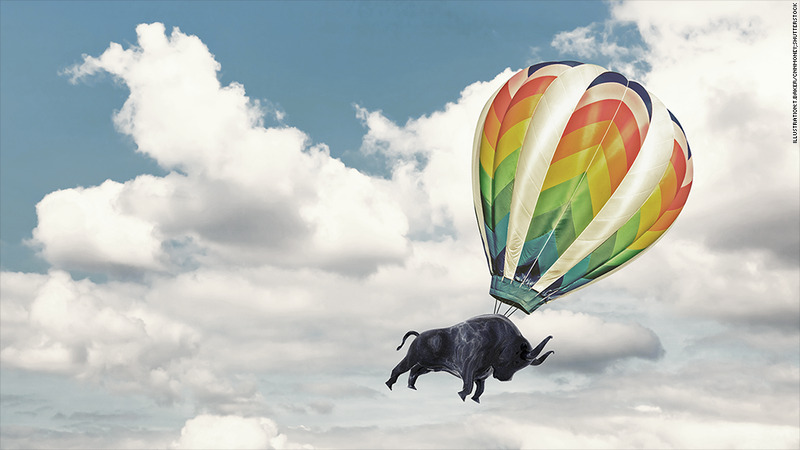 The bull market just keeps going higher and higher. Stocks hit fresh records last week after the Federal Reserve soothed investors' concerns by indicating that it's probably not going to raise interest rates anytime soon. With the S&P 500 up nearly 9% this year, traders warning of a market pullback seem wrong, at least for now. 1. A 'not too hot, not too cold' economy: For stocks to keep going up, the Fed has to cooperate and not hike interest rates before investors expect it to, which right now is the summer of 2015. The Fed is likely to play along if the economy continues moving at a "not too hot, not too cold" rate, according to Jim Russell, Senior Equities Strategist for U.S. Bank Wealth Management..
"The economic numbers are really coming in right on script," he said. In Russell's mind, if the economy started to look too weak, investors would start to fret about the prospects for the recovery. On the other hand, if it was looking incredibly robust, there could be some concern that the Fed would need to hike interest rates earlier than most strategists are currently forecasting. 2. Real earnings growth: In addition to the Fed, earnings have been the mother's milk of the bull market. Companies are growing their bottom lines, but most of the healthy profits of the past few years have come largely through cost-cutting. As the overall economic picture gets better, stocks could see a real boost if companies can show that they're actually growing revenue because people are buying more things. "If the economy continues to improve, I want to see organic top line growth from corporate America," said Robert Landry, a money manager with USAA investments in San Antonio, Texas. 3. Geopolitical stability: Geopolitical risk has been responsible for various market shocks this year, but they have all been short-lived. That trend should continue as long as the these situations don't spin out of control. The current crises may sound nerve wrecking with the United States getting ready for an extended campaign against ISIS and turmoil between Russia and the West over Ukraine still tense even after the cease-fire. But Landry claims that most times these things blow over quickly as far as the markets are concerned. "Sometimes there's pretty negative reactions to these events when they occur, but the most typical reaction is that markets tend to rebound fairly quickly," he said. What could trigger a market descent? Of course, market drops are never easy to predict, and there are plenty of things that could cause stocks to reverse course. For one, stock valuations are pretty steep. The S&P 500 is trading at 15.6 times next year's earnings compared to its 10-year price to earnings ratio average of 14.1. And there's some worry that economic woes in Europe could curtail corporate profits. Russell noted that the market should get a better of idea of what effect Europe is having on business fortunes when companies start to release pre-earnings announcements in the coming weeks. At the same time, even if stocks were to take a breather, that wouldn't necessarily be a bad thing, according to Landry. "Pullbacks tend to be healthy, especially when you have some outsize gains within a short period of time," he said.